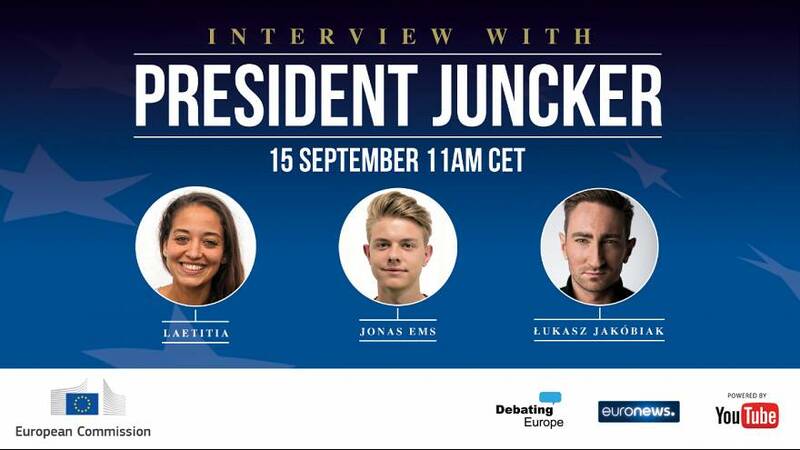 Following the State of the Union speech, European Commission president Jean Claude Juncker will meet with three young YouTube stars. They are Polish YouTuber Łukasz Jakóbiak, Laetitia Birbes of France, and Jonas Ems from Germany. He’ll be taking their questions, as well those from social media. “I find it really interesting to meet a high-ranking European politician,” said Birbes, who runs her own channel on the website. “It’s a one off opportunity that I could not turn down. And it is a good way to pass on a message, to be the voice of young French and Europeans and speak with Mr. Juncker. It’s a real opportunity. The event, to be broadcast on euronews, is jointly produced with the European Commission and YouTube. You can watch it online from 11:00 Central European Time on Thursday.